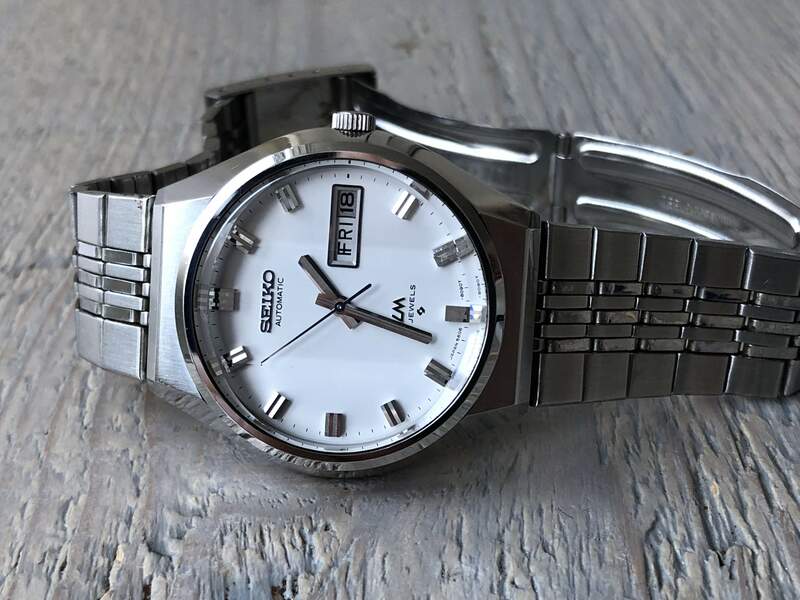 This Seiko is a near mint Seiko Lord-Matic, Suwa division edition. It is a self-winding 23 jewels 8061 from December 1975. 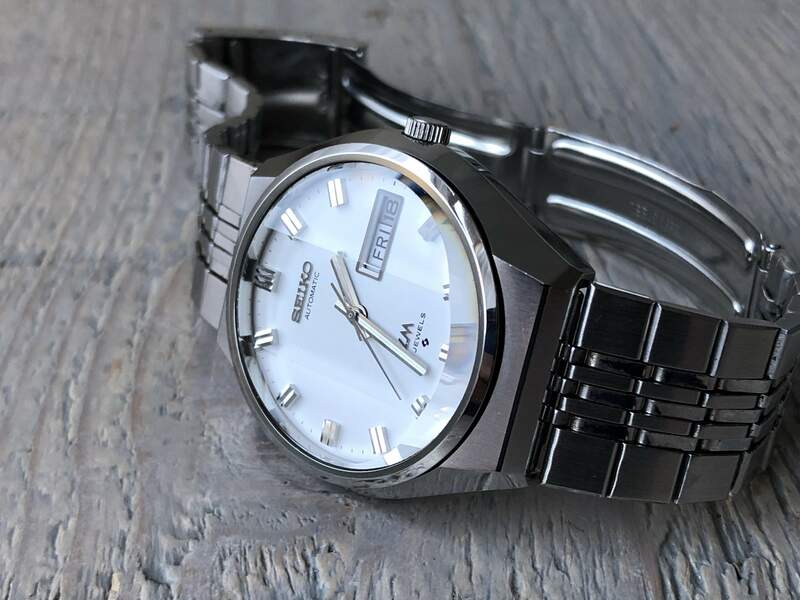 It has the King Seiko 56 base movement (a high end automatic that was thinner then all other auto\u2019s of the time). Notice the mention of A at the end of the caliber inscription on the back, it refers to the accuracy grade A, as these LM's were with higher quality and accuracy specs. This Lord-Matic made by the Suwa division is large, it has a 21600 beat rate, offers quick set day and date, hand winding and the ability to precisely set the seconds though a hacking lever. The 56 stream seems to have been developed between two other caliber streams, the 51 (starting in 1967), and the 52 (starting in 1970). When the 51 was developed, it had a thickness of 4.9mm. The 56 had a reduced thickness of 4.3mm, and the 52 further reduced the movements thickness to 3.9mm. 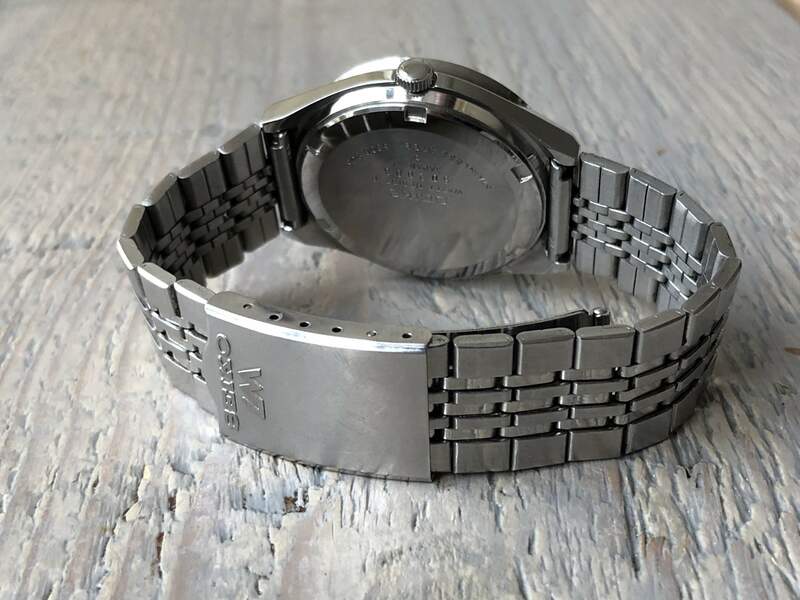 In this continuing effort to reduce the thickness of its mid to high grade movements, many novel design elements were incorporated into this 5606. 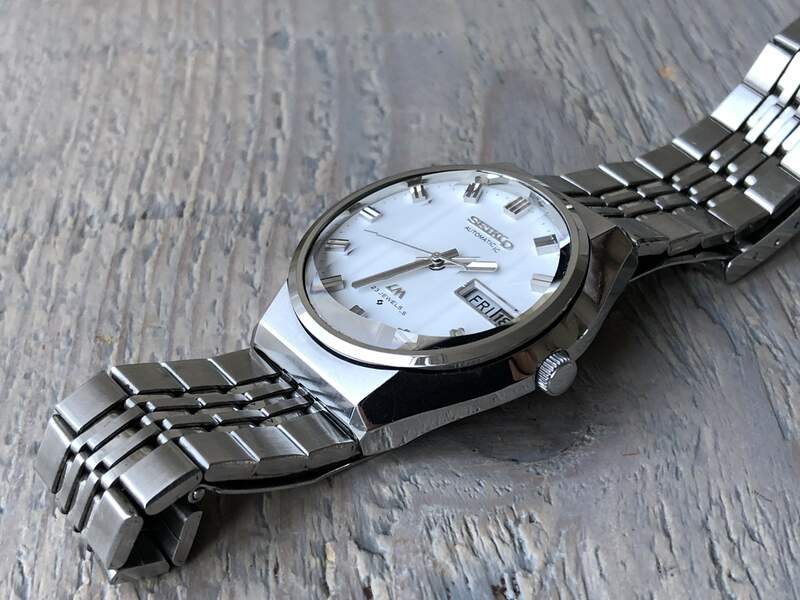 At the beginning of their roughly ten year production run, during the late 1960's till 1970's, the Lordmatics were a one piece design in that you could only remove the movement from the front, thereby increasing the water-proofing. 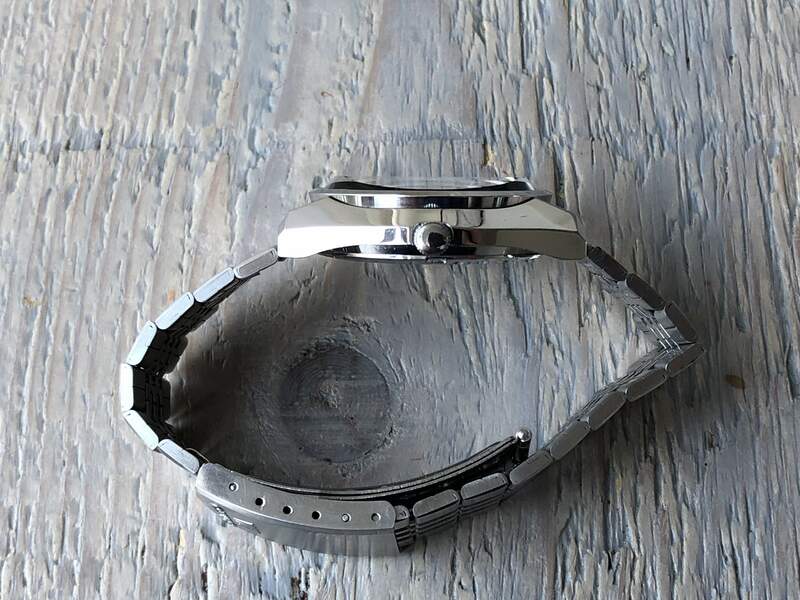 For maintenance of the watch, it is opened through and by removing the acrylic glass. This JDM edition then, English and Kanji (Japanese) day, has been undisturbed, stored for many years, but still moving flawlessly after a Seiko shake with a day difference within COSC. The wow factor is very much present with this one. On the inside this watch is no less impressive in this day and age. The calendar changes accurately (and immediately) on the 24 hour mark and the crown works fine adjusting the day of the week or time. Of course, this Lordmatic has the quickset day-date (QS) and can be hand-wound, and is with hacking function. However, all 56 LM calibres apart from the 5601 do have the plastic component prone to wear in the QS mechanism, which is often inoperable. Here no problems naturally, just make sure to always adjust the day at the end of the day at around 7 PM. 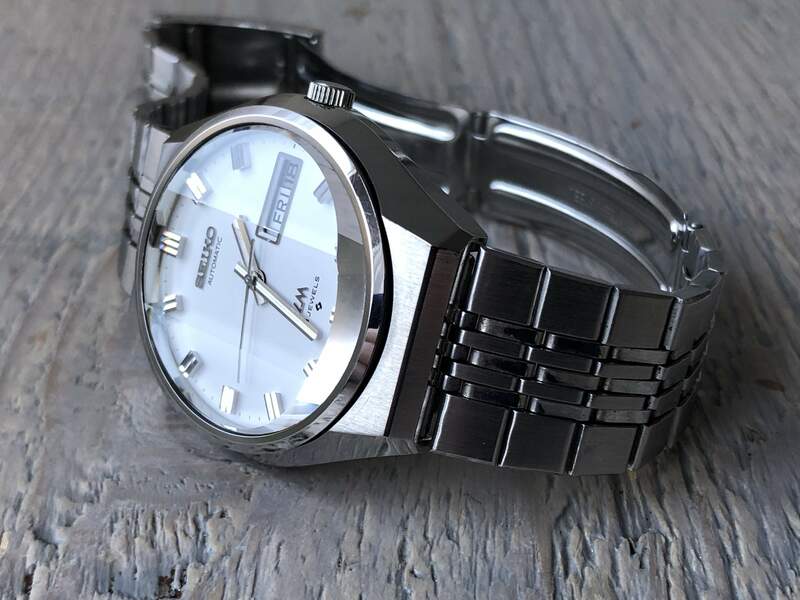 Finally the original stainless steel band, what a surprise! 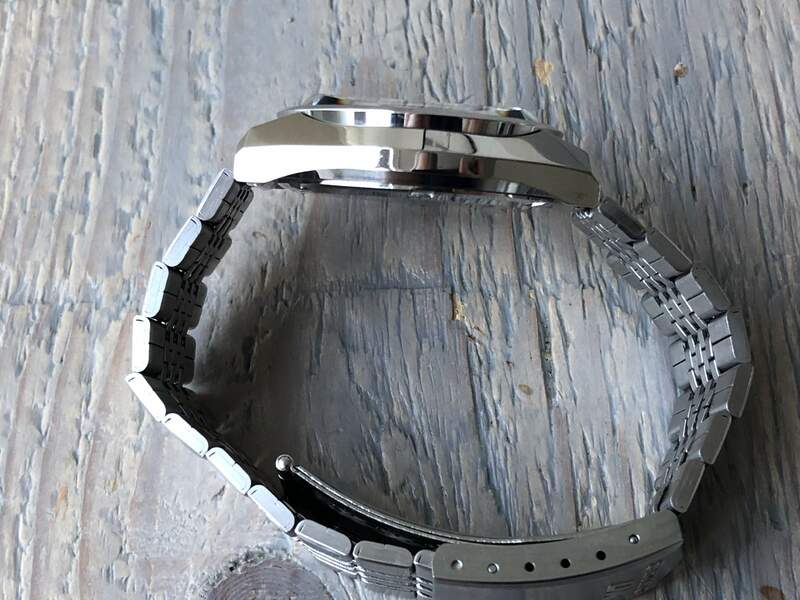 No folded watch band links here! It is all solid.. and complete, it adjusts to roughly 195mm maximum. 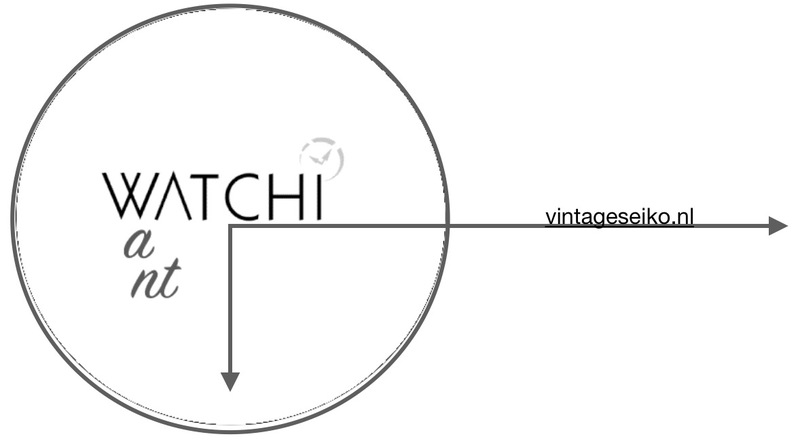 It even has the original Japanese paper sticker inside telling the customer or watchmaker how to adjust the watchband. 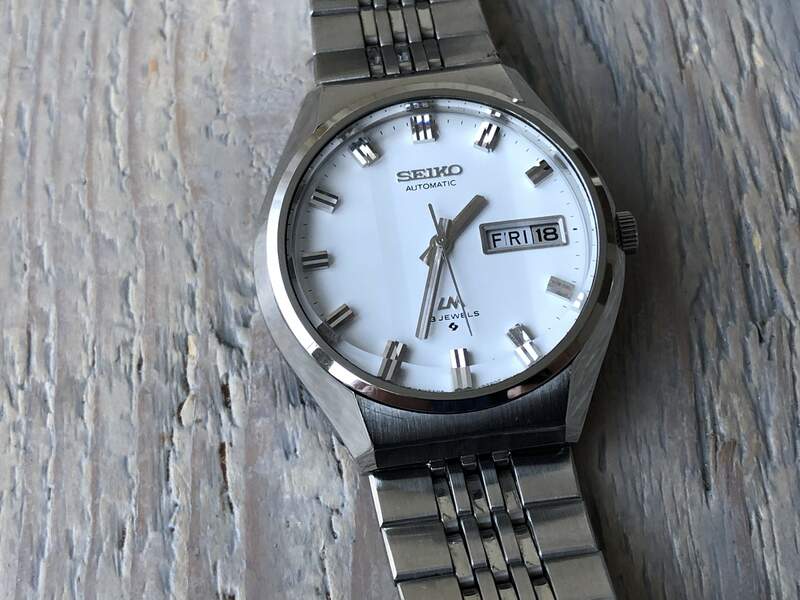 This Seiko is a near mint Seiko Lord-Matic, Suwa division edition. It is a self-winding 23 jewels 8061 from December 1975. 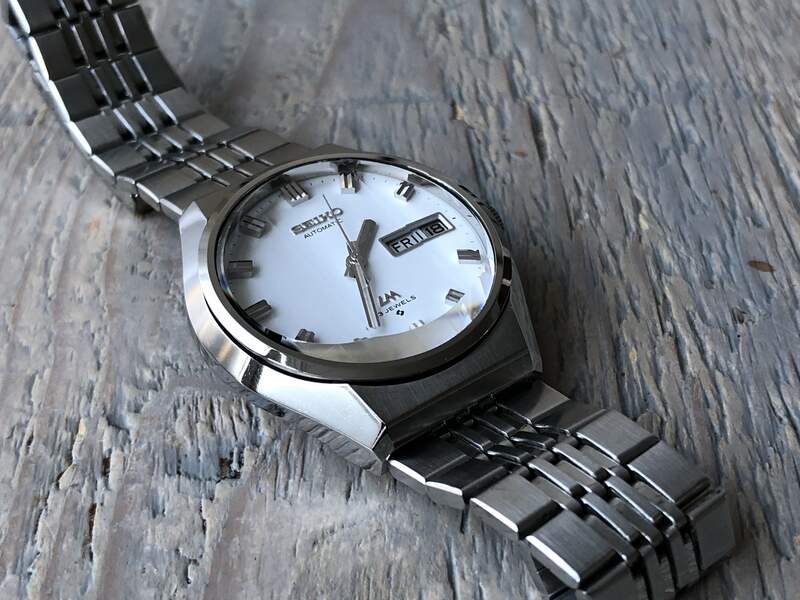 It has the King Seiko 56 base movement (a high end automatic that was thinner then all other auto’s of the time). Notice the mention of A at the end of the caliber inscription on the back, it refers to the accuracy grade A, as these LM's were with higher quality and accuracy specs.